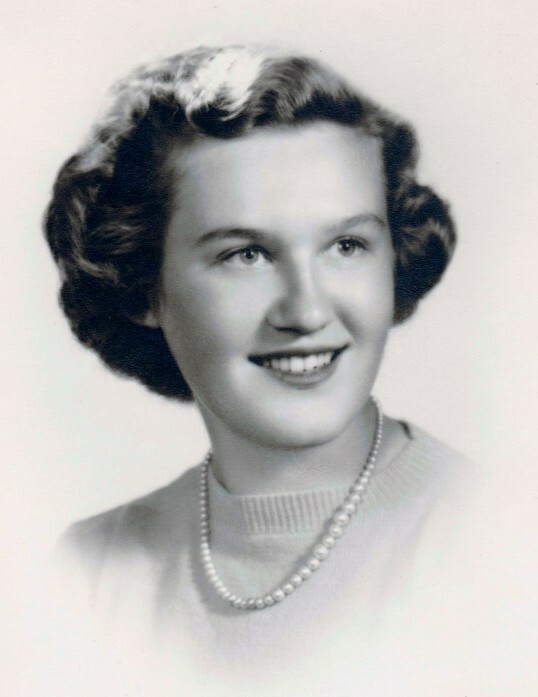 June M. (Van De Mark) Fallon, 85, of the Plantsville section of Southington, passed away peacefully on Friday, January 25, 2019 at MidState Medical Center. She was the beloved wife of the late Irving M. Fallon for 64 years. Born on June 1, 1933 in Hamden, CT to the late Edward and Mary (Janis) Van De Mark, she had been a longtime Plantsville resident. June attended college for teaching before she started her family and ran the nursey at Mt. Southington for many years. She loved children, dogs, swimming, gardening, the Yankees, UCONN Men and Women’s Basketball and tennis. At any time of the day, if you stopped at her home she would be dressed in pearls and red lipstick. All of her life, she hated the # 8. She was an excellent piano player and loved a good tag sale. June enjoyed feeding the birds in her backyard and loved cooking and baking pies. She will be remembered for her great sense of humor. She is survived by her son Irving Fallon and his wife Brenda of Tolland; daughter Gail Mordarski and her husband Daniel of Meriden; 4 grandchildren: James Mordarski and his wife Stacey of Littleton, CO; Ashley Ottman and her husband Scott of Berlin; Aaron Fallon of New Mexico and Dr. Alex Fallon and his wife Jessica of Granby and 4 great-grandchildren: Mia, Dexter, Thomas and Connor. She is also survived by her brother Edward Van De Mark and his wife Evelyn of North Haven and many nieces and nephews. June’s family would like to extend a heartfelt thank you to the ICU nurses, Nathan and Kayla, at the MidState ICU for their compassion and excellent care. A Mass of Christian Burial will be held at 10:30 a.m. on Monday, February 4, 2019 at St. Aloysius Church, 254 Burritt St. Plantsville. Burial will follow in South End Cemetery, Southington. There are no calling hours. Plantsville Funeral Home has been entrusted with handling the arrangements. For online condolences and directions, please visit www.plantsvillefuneralhome.com.